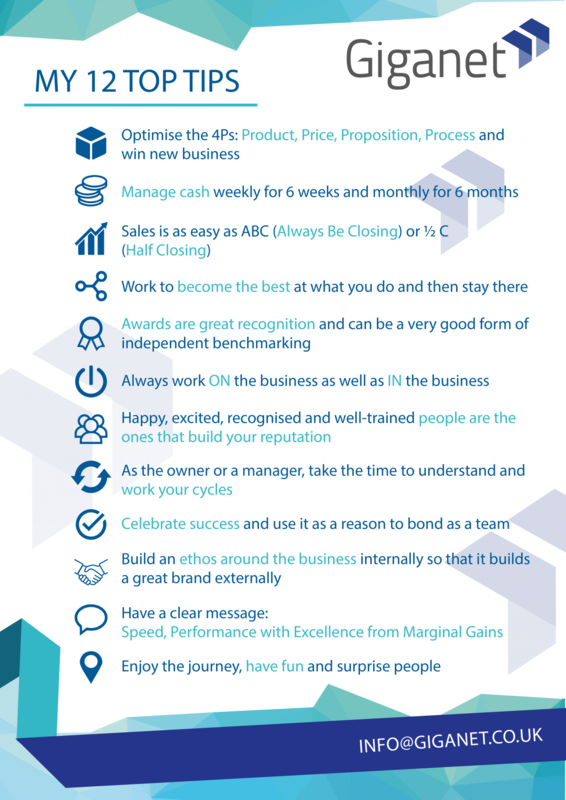 At the recent LinkedIn Local event, our MD, Andrew Skipsey, shared his 12 top tips for succeeding in business. M12 Solutions was founded over 15 years ago to transform how businesses across the UK connected and communicated. During this time, the business has grown exponentially with new investments, disruptive partnerships and market-changing innovations. Check out his top tips below.